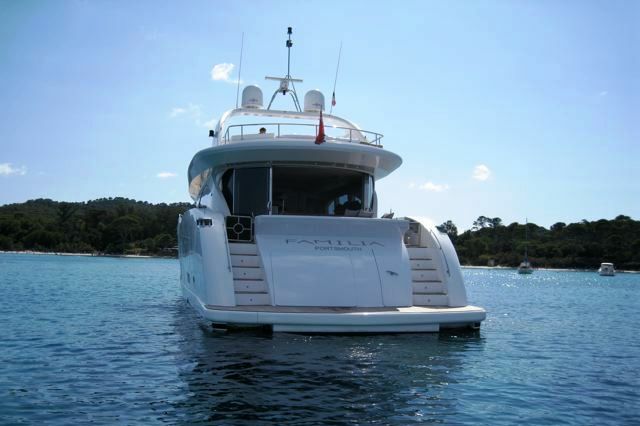 Luxury Motor Yacht FAMILIA is 26m and was launched in 2008 from the Cortenzo shipyard. 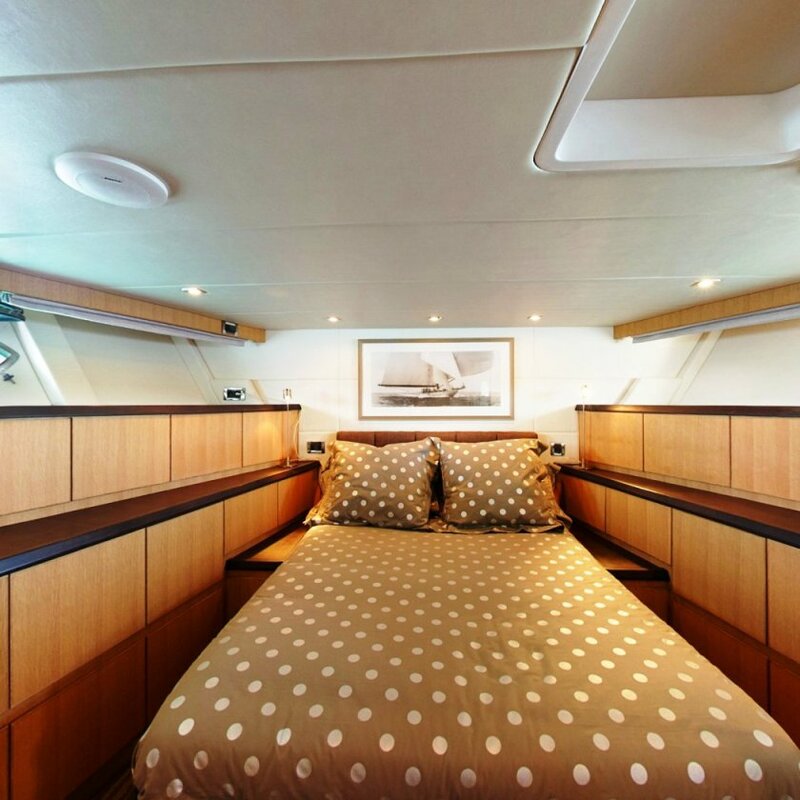 Her interior was designed by Sea Design and offers a fresh and contemporary approach. 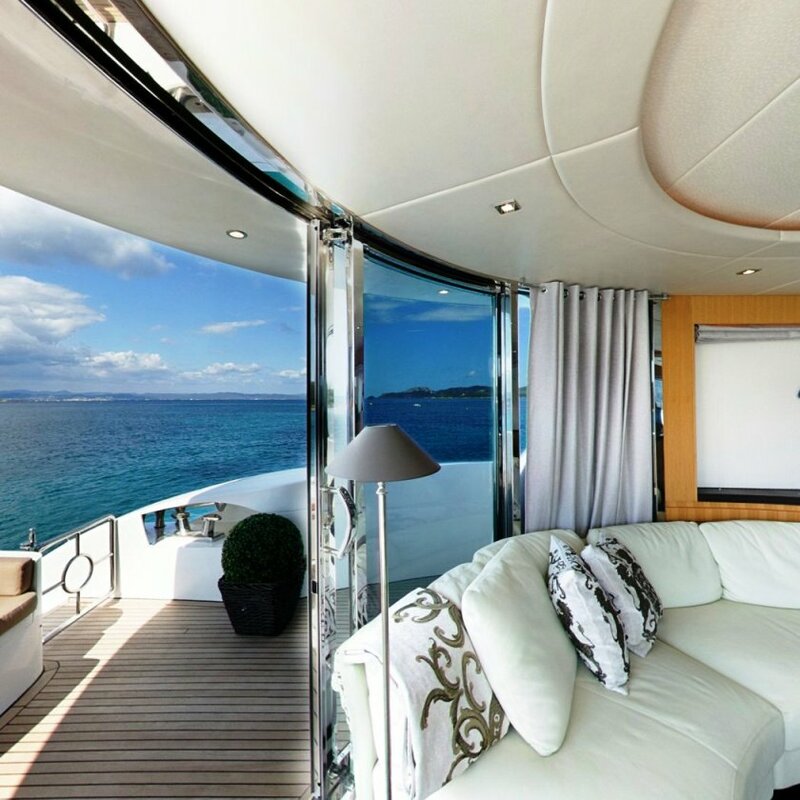 Upon entering the salon of Motor Yacht FAMILIA, you will immediately notice the light and space generated through her large elongated panoramic windows. 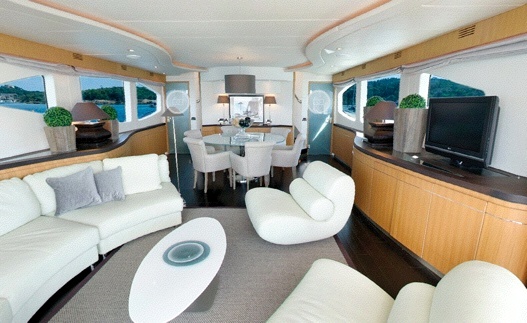 The open salon includes a lounge area plus a dining table ideal as an open style entertainment area. 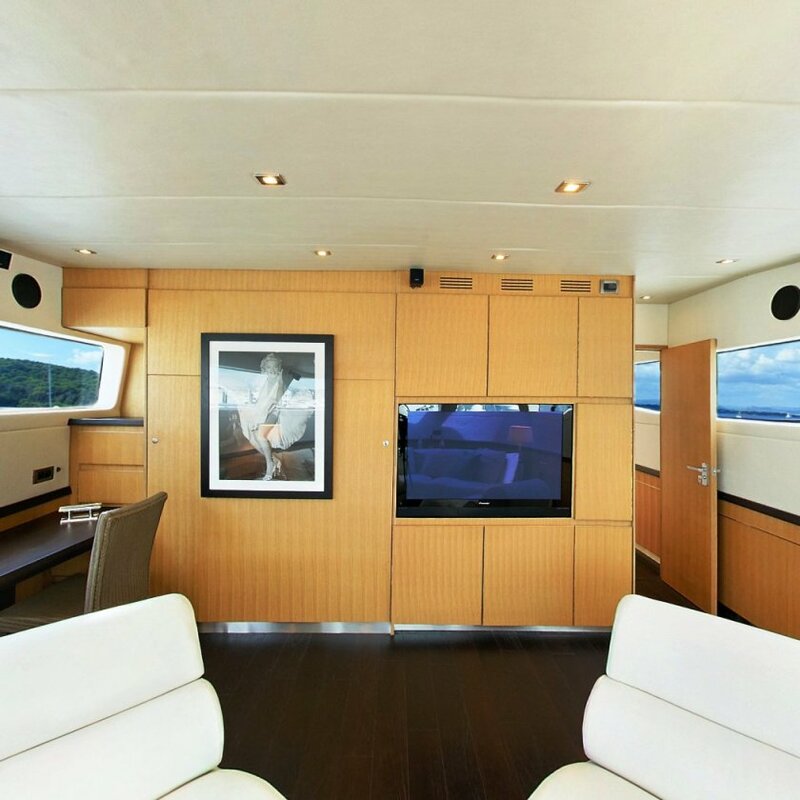 A separate entertainment room is located forward and this can convert into a separate double cabin if necessary including its own bathroom. 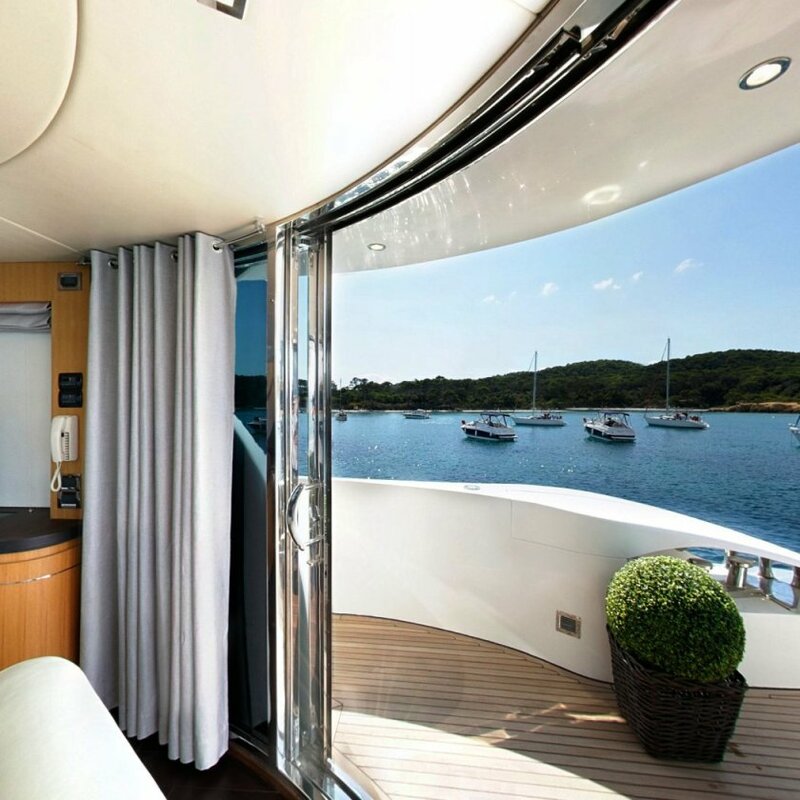 Motor Yacht FAMILIA offers comfortable accommodation for eight guests in a large master cabin, one double cabin and two twin cabins all with ensuite bathrooms. 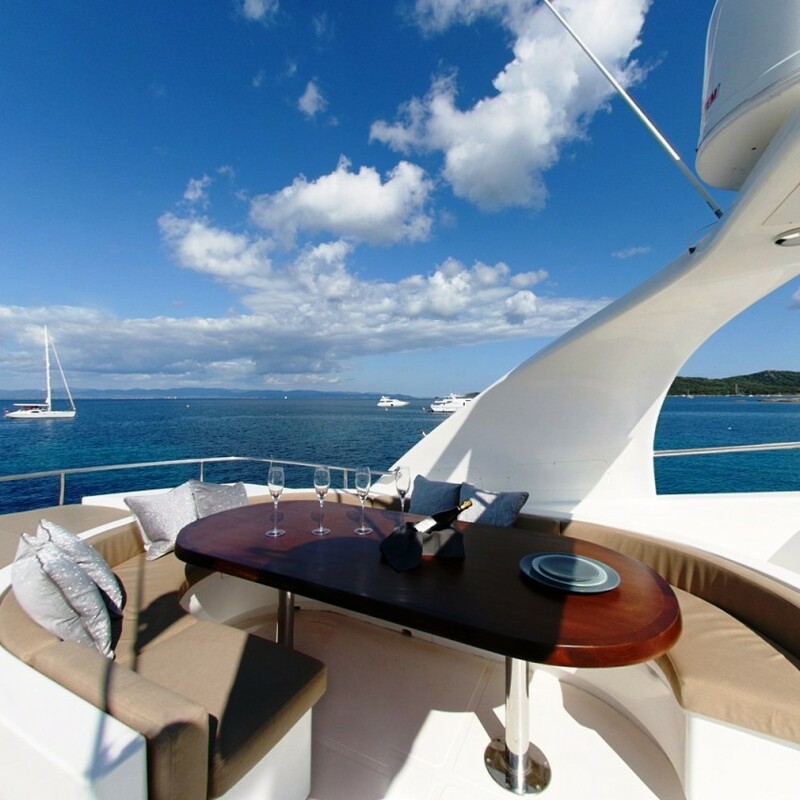 Back on deck, luxury yacht FAMILIA offers excellent outdoor space including a alfresco dining area on the aft deck and on the flybridge. 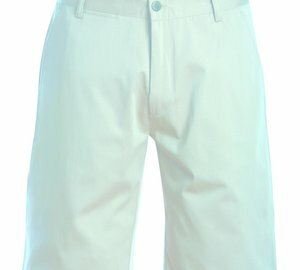 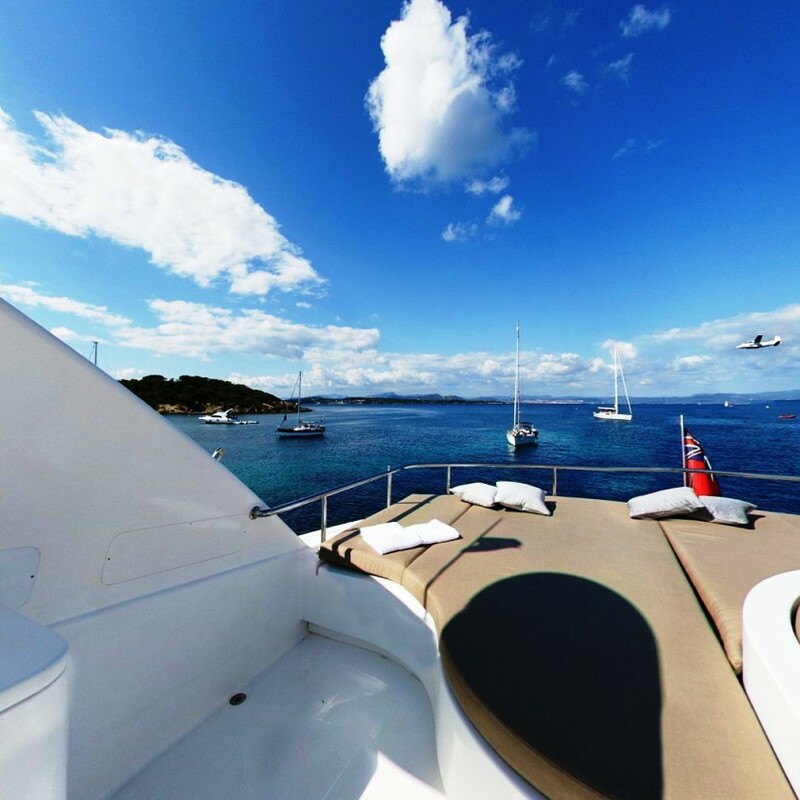 This level of choice is quite rare for a yacht of this size and this is one of the features that make FAMILIA special. 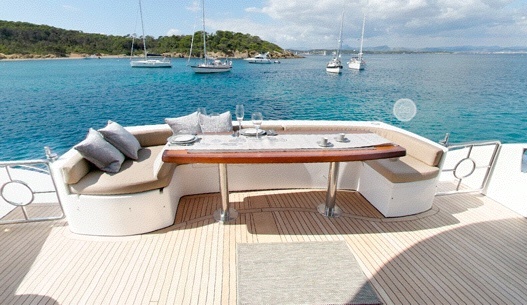 Her flybridge also offers a large area with sunpads where guests can soak up the Mediterranean sun. 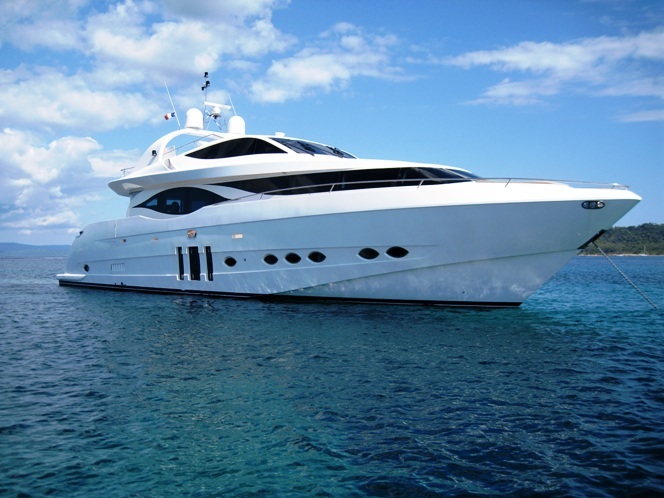 With a cruising speed of 20 knots, a great range of toys and a professional crew of two, Motor Yacht FAMILIA is the ideal French Riviera charter yacht. 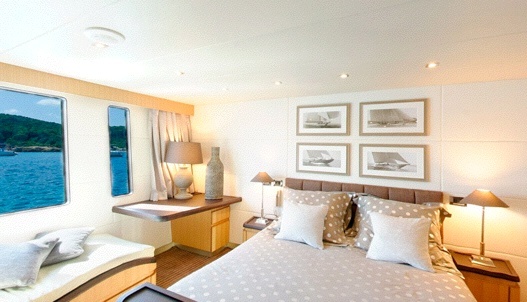 Luxury motor yacht FAMILIA accommodates 8 guests comfortably in 2 double cabins and 2 twin cabins. 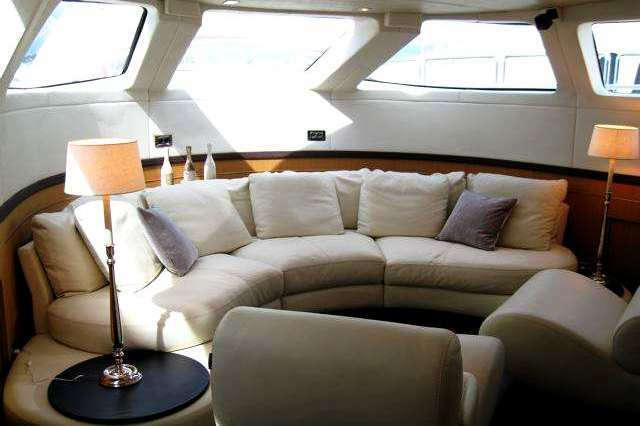 The television lounge room is also convertible into an extra double cabin with bathroom however 10 guests are a strain on the crews capacity to provide high quality service so for the best service 8 guests are ideal.